Today, on Friday 13th of March, is Red Nose Day within the UK. A day in which many businesses, schools and organisations take part in fun and crazy fund-raising events to help raise money for Comic Relief. Red Nose Day started in 1989 and is celebrated every 2 years with a fantastic night on BBC Television supported by many celebrities all hoping to raise as much money as possible for those living it tough both in the UK and Africa. It was launched as a National Day of Comedy, and is held on the second or third Friday in March. 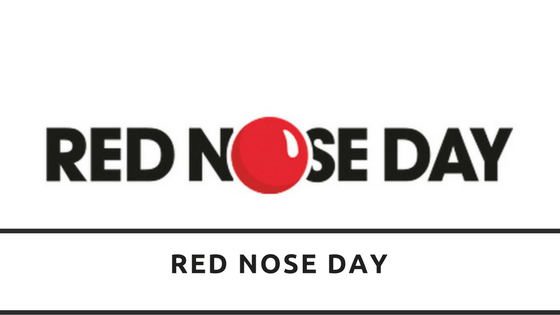 The first ever Red Nose Day (5th February 1988) rose a staggering £15 Million on its first ever broadcast . Since then the money raised has slowly but surely increased over the years with 2013 raising a monumental £100,331,808. As of 2013 £950 Million has been raised. Nosebot – A nose as a robot. Snotty Professor – A professor-like nose. Stripey – A nose resembling a burglar. A similar event is held in the USA with proceeds distributed to provide health care services to homeless people throughout the United States. It is an irregularly held event and on the 18th of November 2006 the event was used to help raise funds for those effected by Hurricane Katrina. If you require any services between the 13th of March and 28th of March please Quote: REDNOSE to receive 15% off your Invoice.